Balancing exquisite refinement with astonishing performance. 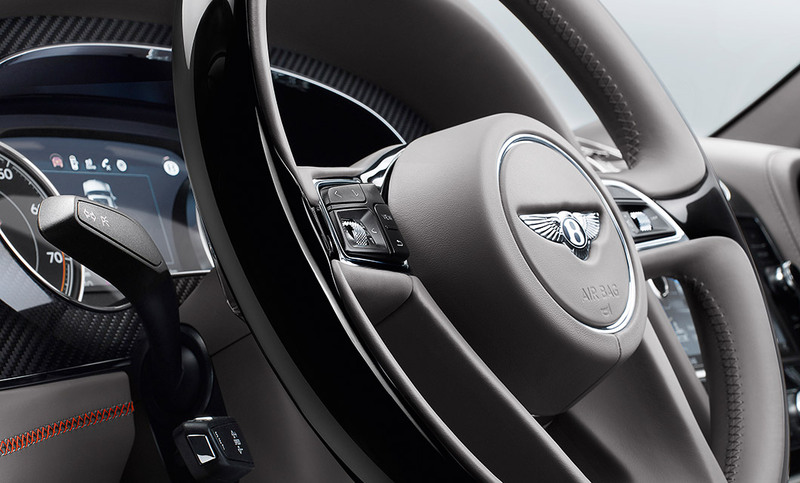 Bentley released a V8 engine in the New Bentayga, and it adds a whole new dynamic to the car. Rybrook Bentley Bristol will be delighted to arrange a test drive and look after you with the greatest level of service throughout your purchase and vehicle ownership. The Bentayga V8 Petrol has received complimentary reviews, with EVO magazine calling it ‘the best Bentayga yet’. The Bentayga V8 Petrol has the same striking features but with added details to accentuate it’s sportier and more dynamic nature. The matrix grille in black to add further presence from the front, a selection of large, imposing wheels. At the rear, two twin-quad tail pipes ensure onlookers know this is a V8 and a car with a sportier sound and edge to it. But the Bentley design doesn’t stop there. The interior is a luxurious cabin, the perfect setting to enjoy the journey to the end destination in comfort and refinement. Duo tone seats are available in 5 colours as standard, as well as the roof lining, trimmed in soft Eliade is also available in 5 colours. The Dark Fiddleback Eucalyptus veneer, introduced as an option with the V8, will be a popular choice with its sultry tones. Bentley have created the Bentayga V8 to be brilliantly responsive in city environment and truly thrilling on open country roads. With an effortlessly engaging drive on and off road, it delivers an impressive 542 bhp that can take it to a top speed of 180mph. Of course, the car carries the infectious V8 sound that reflects the car’s great capabilities. The innovative new Bentley V8 engine has been calibrated to suit this exceptionally capable SUV. Powerful and efficient, with seamless power delivery, it provides an effortlessly engaging drive – both on and off the road. For an SUV the acceleration is pretty impressive too. Achieving a maximum torque of 770 Nm at 1960 rpm and maintaining this through to 4,500, ensuring a rapid acceleration at any speed. This means the car can accelerate from 0 to 60 mph in just 4.4 seconds, contributing to the car’s agile, sporty driving experience. A selection of specifications are available as cost options, allowing you to add a combination of extra features to your car. 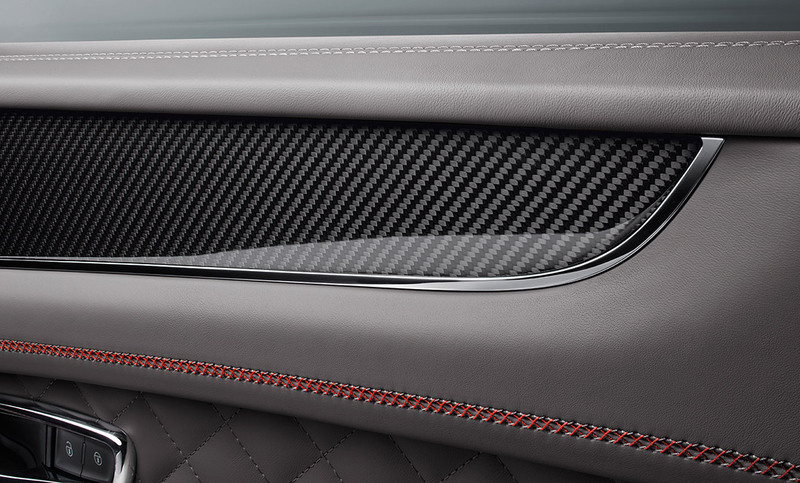 For example, The Mulliner Driving Specification enhances the luxurious look and feel of your Bentayga V8 with diamond quilted seats, drilled sports pedals, embroidered Bentley emblems, the full choice of hide, carpet and interior colour combinations, and 22” wheels with a black and polished finish. The City Specification is designed to enhance the urban driving experience, in which this car excels. With added features including Park Assist, Traffic Sign Recognition, Pedestrian Warning, City Safeguard and Reversing Traffic Warning, as well as a top-view camera. Below are the technical specifications for the New Bentayga V8 Petrol. Interested in a New Bentayga V8 Petrol?